Their conclusion is that the Airbus 320-200 was in the grip of weather so freakishly extreme that there was nothing the pilots could have done to save the jet and all 162 people on board. The plane behaved in ways ‘bordering on the edge of logic,’ Indonesian aviation analyst Gerry Soejatman said after examining figures leaked from the official air crash investigation team. The news came as the first victim of the crash was identified and handed back to her family, and rescuers pulled two more bodies from the ocean, bringing the total recovered to nine. The body of Hayati Lutfiah Hamid was identified by medical workers from surgical scars, a necklace bearing her initials, her fingerprints, and a red name badge pinned to her clothes. 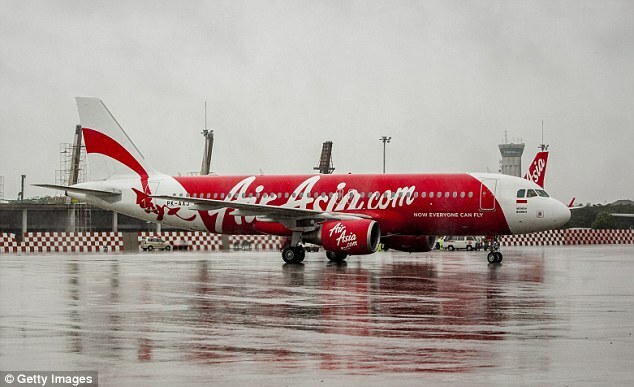 Officials have yet to speculate on what caused AirAsia flight A320-200 to plunge into the sea 40 minutes into a flight from Surabaya to Singapore. Efforts by dive teams to recover the plane’s black box, which will contain vital data on how the tragedy unfolded, have been hampered by poor weather as search teams warn it could be a week before the device is located and brought to the surface. Australian aviation expert, Peter Marosszeky, from the University of NSW, told the Sydney Morning Herald that, in contrast, he was baffled by the extremely low speed of the descent – as low as 61 knots – which would suggest the plane was heading almost straight down, explaining why it has been found in water just 10km from its last point of radar contact.